Here is the definitive chronicle of "a date that will live in infamy" with a new Foreword by the author. 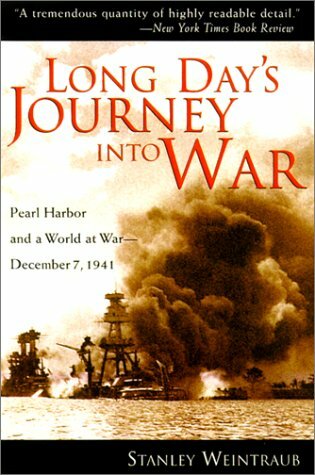 Long Day's Journey into War recaptures the whirlwind events sweeping the world on the calendar day that may be the most momentous of the twentieth century. In this riveting recreation, the worldwide scope of the major turning point of World War II comes to unforgettable life. In Washington, D.C., the United States and Japanese governments move toward irreversible confrontation. In Tokyo, Emperor Hirohito strains to hear-amid the crackling radio static-the first reports of war. Landings in Malaya and Thailand at midnight are timed to coincide across the thousands of miles of ocean with carrier-plane and suicide-sub attacks at daylight on Hawaii. In Russia, in the subzero snows, the German onslaught crests against the furious counterattacks of a Red Army rising from its ruins. In North Africa, in the torrid sands about besieged Tobruk, Rommel's Afrika Korps discovers its limits. In Nazi-occupied Europe, in a bleak Polish forest, Hitler's "final solution" is given its first grisly trial run. In the kaleidoscope of Stanley Weintraub's narrative, events reveal themselves in dramatic hour-by-hour simultaneous time as scenes shift from front lines to home fronts. Meticulously researched, startling in its revelations and in its juxtaposition of events, Long Day's Journey into War is gripping, riveting history.